The redevelopment of the historical building is being proposed by developer Anton Camilleri, on behalf of Garnet Investments Ltd, which has recently presented plans that include residential and commercial developments on the Villa Rosa grounds and adjacent areas. Plaque commemorating Lord Berkeley Moynihan who was born in the house (top) named after him. The birthplace of Lord Berkeley Moynihan, an internationally acclaimed British abdominal surgeon who served as president of the Royal College of Surgeons of England from 1926 to 1932, could be obliterated to make way for a massive 5-storey office block. Lord Moynihan’s birth is also commemorated on a plaque, which is presently covered by vegetation, on the same building. Moynihan House and Dolphin House, the two buildings proposed for demolition, do not enjoy any degree of protection. But a study by Archeology Services Limited included in the Environmental Impact Statement for the Villa Rosa development, unambiguously concludes that both buildings deserve protection as Grade 2 Buildings. Grade 2 protection precludes demolition but may allow minor internal developments. 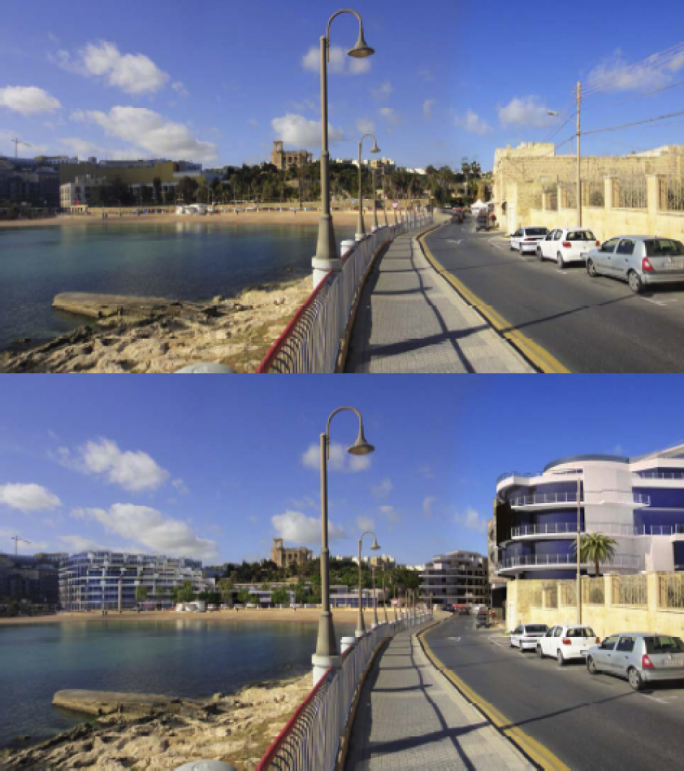 In the report the retention of the two buildings is described as an essential element for the integrity of the cultural landscape of St George’s Bay, which will be “adversely impacted” by the project. Although in a state of ruin with modern accretions, these structures should be considered in their wider military context of the St Julian’s area, as well to that of the Maltese Islands. The developers have proposed the demolition of Moynihan and Dolphin Houses and their replacement with a large development block. The demolition and redevelopment of the two buildings will yield 6,010 square metres of office space, 1,800 square metres for restaurants and 2,980 square metres for a language School (2,980m2). The commercial space would be located on the ground floor and intermediate level, the offices would be located over all floors (ground to fifth floor), and the language school would occupy the first floor to fourth floor levels. Moynihan House and Dolphin House are two of the oldest buildings in the area. They are built in an austere military Victorian style, possibly developed and designed by the Corps of Royal Engineers whose works include the Royal Albert Hall in London. 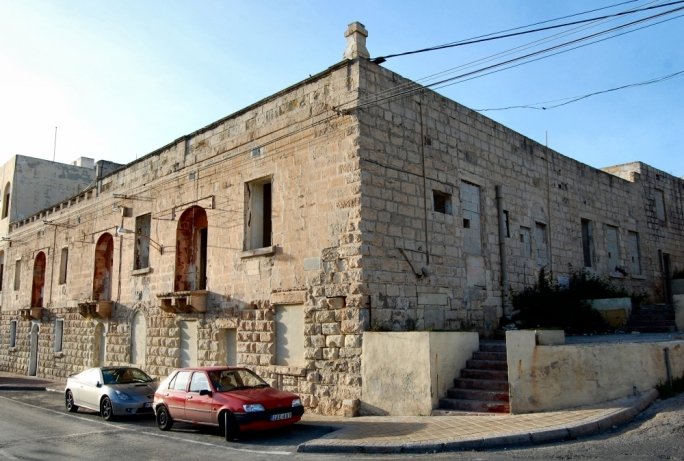 According to a MEPA survey on Moynihan House, conducted in 1992, the characteristics of an austere Victorian building rendered in Maltese stone makes it a rare occurrence in Malta. The structure is rendered unique by its roof built with stone slabs (‘xorok’) supported by wooden beams, the arches used to support larger rooms, a spiral staircase in stone, stone fireplaces and chimney. Moynihan House also incorporates two War Department markers, which deserve protection. The study also reveals that one of these markers was obliterated during works on the Saint George’s promenade. Dolphin House, which lies adjacent to Moynihan House, is presently used as a language school. This building’s façade has been covered in plaster and slightly altered and a third storey added to it. The negative impacts on cultural heritage envisioned in the report by Archeology Services Limited on Moynihan house are completely ignored in the non-technical summary of the Environment Impact Statement. 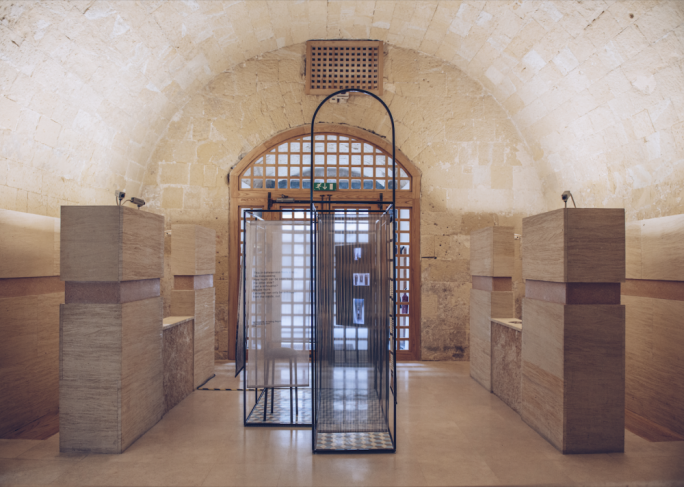 But the summary refers to the Għar Ħarq il-Ħammiem cave which is located underneath part of Moynihan House. The report states that the site was examined by geologists and geo-technical engineers, who are of the opinion that it is possible for a new building to be erected in the area as long as appropriate measures are taken. The original draft of the North Harbour Local Plan, published in 1999, had identified the Moynihan House area in St George’s Bay as a site for a car park. 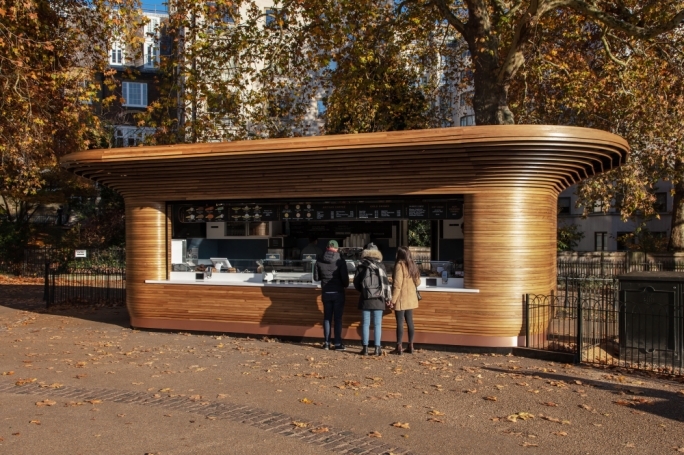 This was to be incorporated in commercial and residential facilities. 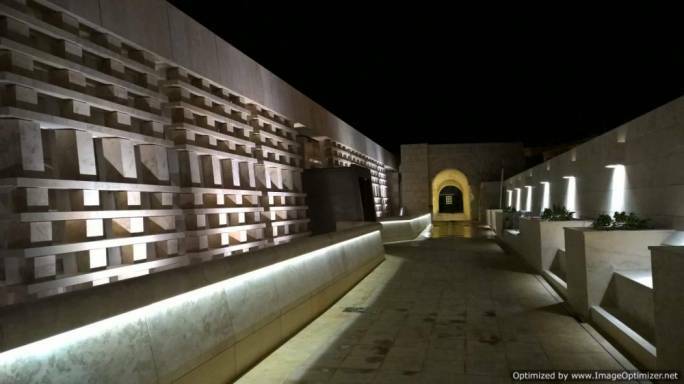 But the project was abandoned following a detailed study of the nearby cave, known as Ghar Harq il-Hammiem, which was commissioned by the Planning Authority and revealed that it was far larger than originally thought. The cave was found to open up and the water in it reached a depth of 52 metres below sea level. The surface of the water was found to be at a depth of 16 metres below sea level. Development on the Villa Rosa area was foreseen in the local plan approved in 2006. But the same local plan did not refer to any development on Moynihan house. 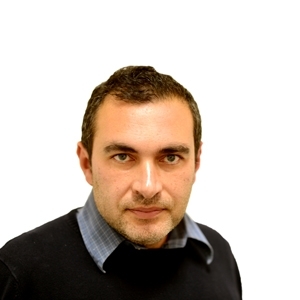 In 2009 Vic Bon, a company owned by Anton Camilleri, purchased Dolphin House and the Villa Rosa holiday complex from C.H. 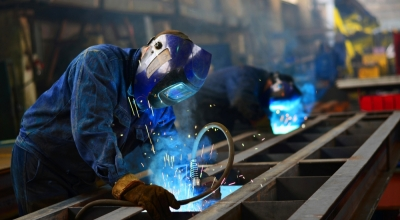 Bailey plc for €2.3 million and €29 million, respectively. Moynihan House was surely built before the 1860s because the plaque on the eastern façade indicates that in 1865 it was the birthplace of Berkeley G.A. Moynihan. 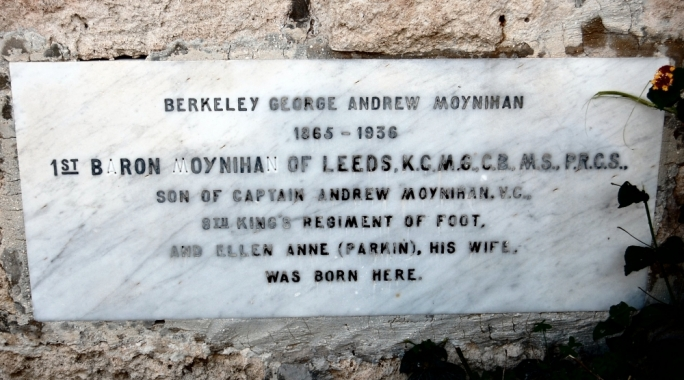 Berkeley Moynihan’s father, Andrew Moynihan, VC, a hero of the Crimean War, was posted to Malta in the 1830s with the Second Battalion of the King’s 8th Regiment where he was musketry instructor for the Island, and died from ‘Malta Fever’ in 1867. His son became Lord Moynihan and became an internationally acclaimed surgeon who visited Malta a number of times during his career. By the end of the Great War Moynihan held the rank of Major General in the British Army and had been chairman of the Army Advisory Board from 1916 and chairman of the council of consultants from 1916 to 1919. In 1935, a year before his death, Moynihan founded the British Voluntary Euthanasia Society.